Your moment of Easter cuteness. * 19 Oakanagan Grill + Bar in West Kelowna, British Columbia, is offering an early brunch menu, casual lunch and dinner, fireside dining or a seat in the lounge watching the Masters golf tournament. View other Easter specials in Vancouver. * 750 Restaurant and Bar in San Francisco is pulling out all the stops with an expanded brunch menu, free-flowing Champagne, two hours of complimentary valet parking, and jazz, along with a petting zoo, magician, and face painting for the kids. View other Easter specials in San Francisco. * Aldea in New York is creating an eggcellent menu, showcasing traditional Portuguese egg dishes, as well as their full menu, from 1PM until 8PM. View other Easter specials in New York. * Brasserie Jo in Boston is offering up tasty Easter specials along with its famed cupcake station. You can also watch the kids hunt for eggs with the Easter Bunny and take photos! View other Easter specials in Boston. * Cafe Livre in Los Angeles is opening for its first Sunday ever. Specializing in African street food, they’re serving a French and North African brunch menu, as well as dinner. View other Easter specials in Los Angeles. * Little Bucharest Bistro in Chicago is serving an Easter brunch menu and having a free outdoor pig roast for dining customers. Free limo service is also available. View other Easter specials in Chicago. * Loring Kitchen & Bar in Minneapolis is putting out a sumptuous brunch featuring carved meats, french toast, omelet bar, assorted salads and pastries, and their famous bottomless mimosas. View other Easter specials in Minneapolis. * Palisade in Seattle. Brunch kicks off early and features all your Palisade faves, plus new sushi rolls. Special treats for the kids include a candy buffet! View other Easter specials in Seattle. * Ping Pong Dim Sum in Washington D.C.‘s Chinatown. 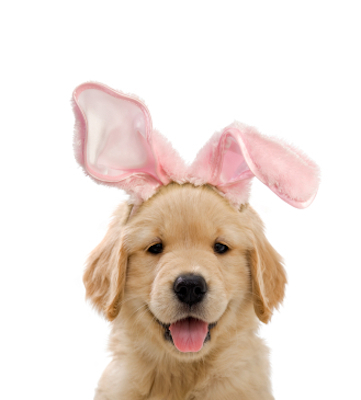 Wear your best bunny-themed attire OR pajamas and enjoy 15% off your bill! There’s also unlimited dim sum for $25 and a table-side mimosa bar for $15. View other Easter specials in Washington, D.C.
* TWO urban licks in Atlanta is serving brunch and dinner, and, by the way, The Easter Bunny himself will be hosting egg hunts at 11AM and 1PM. View other Easter specials in Atlanta. Check out your start page for the ‘Easter Specials & Offers’ tab under “Your Local Dining Scene.” You can learn about pricing, menus, and special offerings at many restaurants near you to help you find an Easter restaurant reservation that fits your family!